INDUSTRY.co.id - Jakarta - Property consultant Jones Lang LaSalle (JLL) says the property coworking space or jointly shared office area will flourish in Jakarta in 2018, following a growing trend in other major cities in the world. 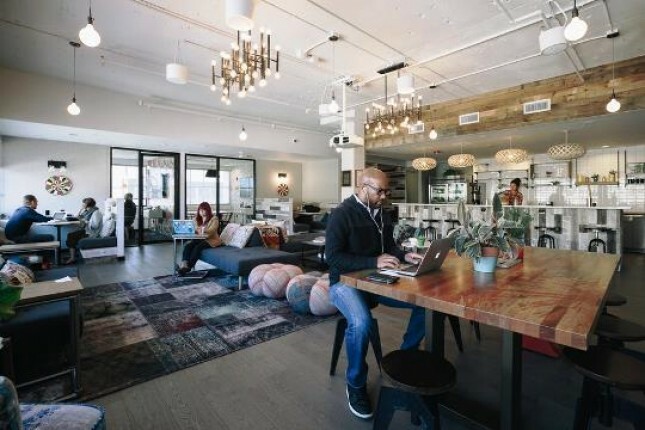 As is known, "coworking space" is an office area filled with diverse individuals, it can be professional, part time workers, as well as independent researchers. The concept of "coworking space" is considered a solution to the problems of isolation faced by various people who often do their work at home. According to Todd Lauchlan, the trend of coworking space business has been implicated in major cities in the world, the largest being London. "Indonesia is likely to pursue such a trend, which has now emerged as in Singapore and Hong Kong," he explained. Meanwhile, Head of Research JLL Indonesia James Taylor said, currently the percentage of office space in Jakarta is about 65 thousand square meters. Of that amount, said James Taylor, it is estimated that the conventional office service area still dominates or is at the level of about 85 percent. James also said, at this time property business "coworking space" is still dominated by local players, but it will likely change in 2018. This, he continued, because various multinational companies engaged in the sector of "coworking" is also expected to have an interest in opening branches in Indonesia. At this time, he said, various business "coworking space" in Jakarta generally still located in office buildings that exist in buildings type B or C, or shop.